Harness the power of the cloud revolution with best-of-breed integrations. The best modern software is built in the cloud. What makes it so great? Open application interfaces (API's) allow different systems to talk to each other and seamlessly transfer data. In today's open API economy developers focus on what they're best at and open their systems to integrations with other best-in-class software providers. Today's modern tee sheet gives golf operators the option to integrate with a wide variety of incredible software providers that have developed incredibly powerful features. We love how integrations make already robust tee sheet software so much better, so we created a list of our top ten favourite integrations for golf managers. It's quite possibly the best POS system on the market. Apple chooses them as their preferred POS provider and it's not hard to understand why. Lightspeed is a fully cloud based retail and restaurant POS system. 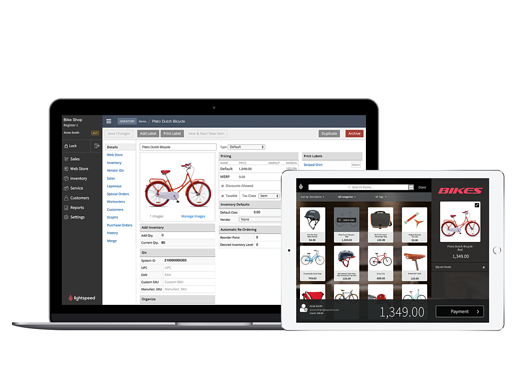 It features the kind of powerful inventory management, purchase order, and payment processing tools that were once only available to big-box retailers. Easily customize and access from any computer or operating system. Track data from every single touch point of your business and derive insight from Lightspeed's reporting tools. Employee management is easier than ever before with clock-in and clock-out tracking and your data is safely stored in the cloud so there's no need to house and maintain expensive servers. Plus, the system seamlessly integrates with a number of software providers, providing access to number of awesome accounting, marketing, eCommerce, and management tools. Book-keeping and accounting can be an enormous headache. Fortunately, modern cloud accounting software is capable of reducing the headache. With Quickbooks there's no need to transfer data through complicated excel files or risk losing your hard work to a faulty hard drive. Since it connects directly into your bank accounts, POS, and tee sheet all your sales transactions are automatically tracked and time spent entering data is dramatically reduced. 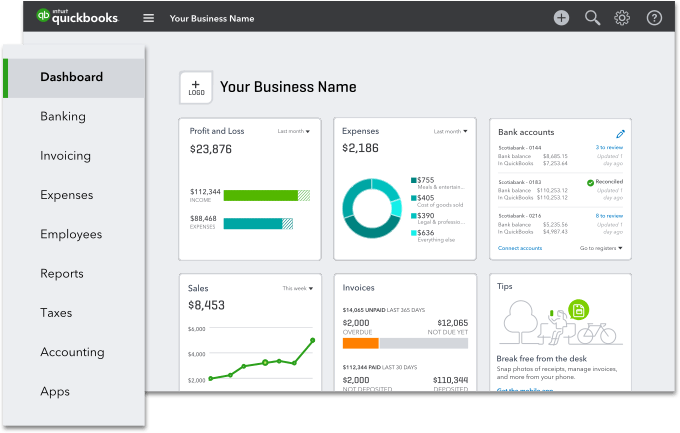 Quickbooks makes it so much easier to manage the numbers, track inventory, send invoices, file taxes, manage payroll, and track employee hours. Best-of-all, since data is tracked in one place, Quickbooks produces excellent reporting so you can understand the performance of your business over time. With its far reaching distribution network, golf marketing expertise, dynamic pricing tools, and analytics software, GolfNow's integrations are hard to beat. By plugging your tee sheet into GolfNow, golf course managers gets access to so many powerful golf marketing tools. Distribution can be an incredibly valuable channel for spreading awareness about your golf club and filling up the tee sheet. GolfNow offers powerful marketing tools that give deep insights into local and national industry performance. Derive insights about your local market while using dynamic pricing tools that maximize the value of tee time you sell. If you're looking to take your golf marketing strategy to the next level, GolfNow is the software provider for you! Want to get better performance out of your mail outs? MailChimp is powerful marketing tool that allows for better segmentation, click tracking, and reporting. Send aesthetically pleasing emails with free custom templates, built with the golf course in mind. Track the performance of your email campaigns and optimize your strategy for engagement rather than blindly sending ugly, un-optimized emails. Best-of-all, since MailChimp integrates into tee sheet, your email list updates automatically as you add customer data into your tee sheet CRM. Customer loyalty is a key part of your golf course's success. Your loyal members and repeat customers generate steady, long-term revenue. Implementing a customer loyalty program is perfect for ensuring they keep coming and creating incentives for generating more loyal customers. DataCandy helps golf operators introduce loyalty programs at their golf courses by rewarding loyal customers with loyalty points that can be redeemed for a selection of prizes. Know who your best customers are and track data on buyer behaviour, loyalty over time, and what customers are slipping away. Payment is one side of managing a golf course that is often overlooked. It may not seem like an important detail to pay attention to but, payments evolve as technology advances. When you make it easy for your customers to process transactions they'll appreciate it. Vantiv integrated payments makes payment processing smoother, faster, and even mobile. With the help of Vantiv you can give your customers access to a greater variety of payment options including debit, credit, EMV/chip cards, gift cards, Apple Pay, Samsung Pay, Android Pay, and more! 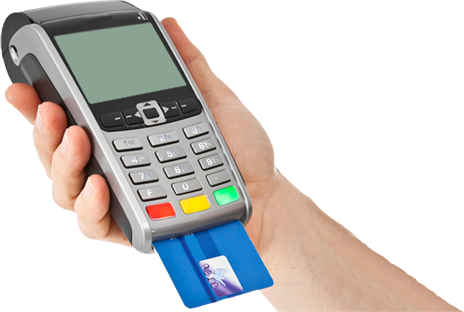 Don't miss the chance to impress your customers, give them the ability to pay your business in whatever way is most convenient. Dynamic pricing software can be very helpful for deriving maximum value from your tee times. However, sometimes it takes a human touch to truly understand where missing value lies and where spikes in demand come from. That's where the kind of managed dynamic pricing services that DRS provides becomes very helpful. DRS is capable of plugging into your tee sheet, analyzing your data, and conducting local market studies to derive insights about the real value of tee times at your golf course. By working with DRS you'll understand when to raise prices, when to discount, and when to expect increased or decreased demand. DRS helps keep your golf course ahead of the curve by maximizing the value of your tee sheet. To many golf operators online payments seem complicated and hard to set up. The reality however is that over 20% of rounds are booked online, so don't sleep on this important channel. When a booking is made through your website, there's an opportunity to save time in the pro shop by taking payment ahead of time. When golfers pay online there's no need for them to stand in line when they arrive at the course and your staff doesn't have to waste time processing their payments in-house. Stripe is designed to make taking online payments a breeze. It integrates with your tee sheet, connects to your bank accounts, and tracks all payment information. Plus, Stripe provides detailed reporting and statistics to understand online purchase behaviour, performance, and patterns. Now is the best time to start taking online payments and begin generating revenue through your website. Resorts and golf courses go together hand in hand. If you sell tee times as part of a hotel or resort there's no doubt that you need your tee sheet to integrate with your hotel management system. When your tee sheet integrates with Opera Property Management it's possible to bill rooms for golf reservations and manage reservations from a unified system. Verify guest name, look up their room and easily post charges to their room. Best of all, this integration ties all restaurant and pro shop POS transactions making it possible to pass all transactions on to Opera. Now, resort operators can view all revenue under one system including golf, pro shop, and restaurant revenue. Social media is an absolutely crucial marketing for golf courses. If you aren't taking advantage of Facebook, we highly recommend that you do. Especially because platforms like Facebook have the ability to dramatically increase your audience. When Facebook integrates automatically with your tee sheet its easy to generate more interest in golf course announcements, discounts, events, and tournaments. Share every update, discount, and event with your Facebook audience directly from your tee sheet. Now there's no need to log in and create a post, the integration will generate a post for you automatically!